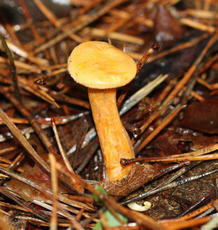 A yellow-orange funnel shaped toadstool with gills having a deep orange colour. 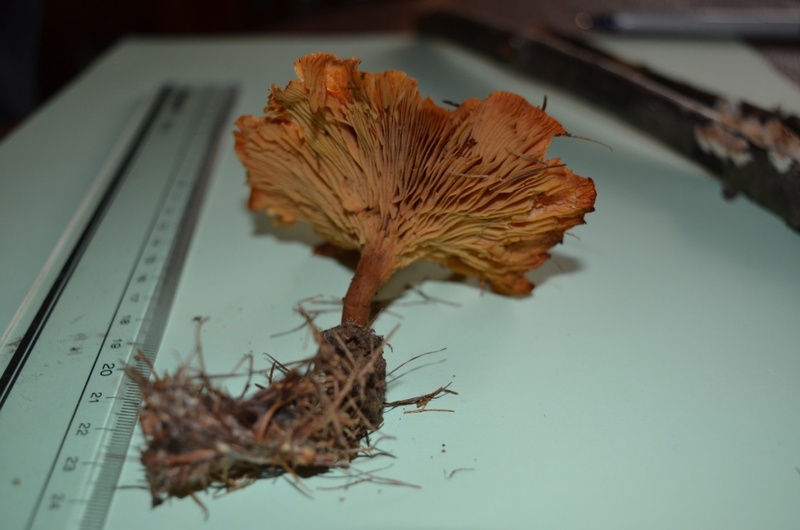 The gills are very thin and closely packed, a feature which separates it from the true Chanterelle where the ‘gills’ (which are not true gills) appear thick and widely spaced. 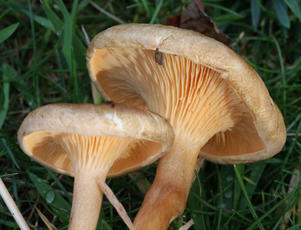 Note that there is a pale cream coloured variant, referred to as ‘variety pallida’. 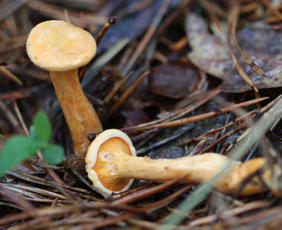 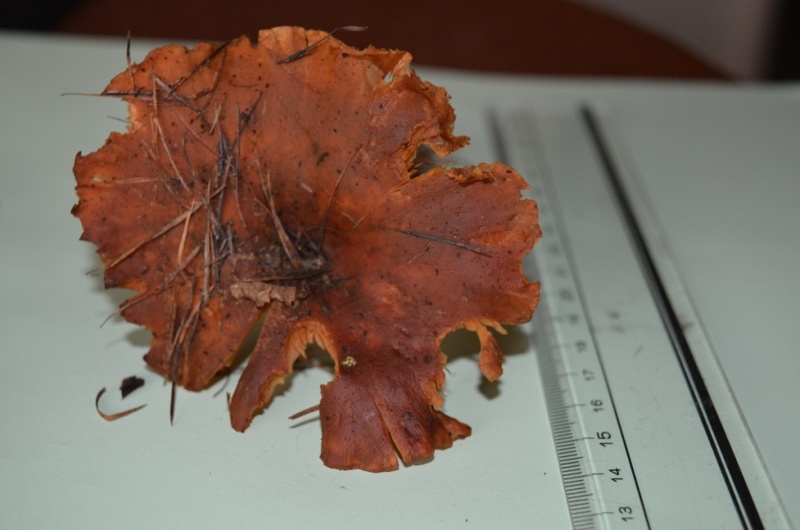 Usually found in conifer litter but occasionally with deciduous trees. 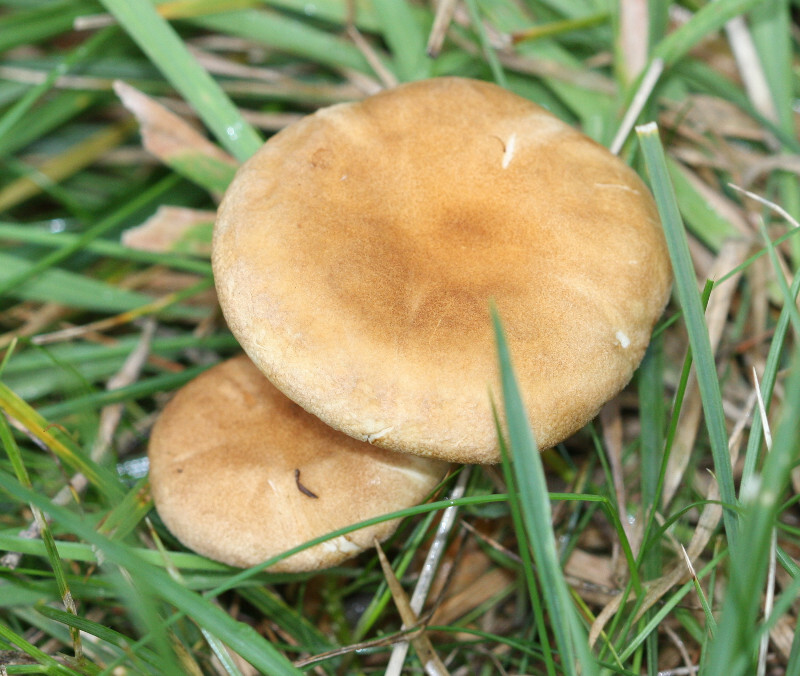 It fruits from the ground or from decaying wood.